Only the best products for your amazing eyes ! We offer the best in quality products so that you can see clearly, safely, comfortably, and stylishly. Contacts ordered online can be shipped directly to your home or our office for pickup. Typically contacts take 3-5 business days. Prescription glasses also take 3-5 business days while prescrition safety glasses take 4-5 days. Although most glasses are typically picked up at our office we can ship them to your school address or other location. For corporate customers we can arrange for a date, time, and location for dispensing at your convenience. We can also prescribe pharmaceutical grade vitamins to provide excellent support for vision and retinal help. Using antioxidants, enzymes, amino acid and fish oil, our low vision vitamins deliver the exact micronutrients your macula needs to keep your eyes healthy to avoid further degeneration for our low vision patients. We can also recommend excellent over the counter vitamins for good eye health. 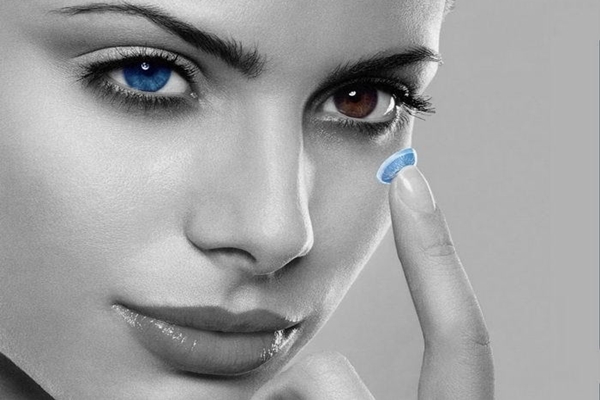 We have the largest variety of contact lenses in the area. From standard, daily-wear contacts, to specialty lenses including colored and theatrical contacts. We got your eyes covered. 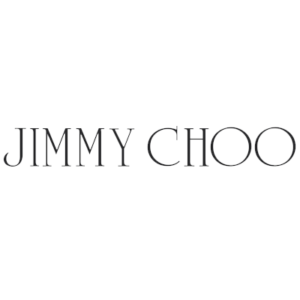 We carry a wide range of glasses including Gucci, Kate Spades, Ray Ban, and much more. From sports goggles, low vision glasses, to occupational safety wear glasses. We have everything you need to keep your, your patient, employee, and family’s eyes safe. Please use Chrome, Internet Explorer, or Firefox. Currently does not work with Apple iOS. Conveniently Order Your Contact Lenses Online! Already Registered and have your Username and Password? Simply Click the link below and login. After clicking on the button on the left “Click to Order”, then click Sign Up Here to register. Need technical assistance with order placement and order tracking? Please contact the patient help desk and web support at 1-800-301-3225. They can be reached M-F 8am to 9pm EST, excluding some holidays. Sat, Sun closed. Lenses are not shipped out on weekends. 1. Can Dr. Kapoor order contacts for me? Yes. Simply register by clicking “Sign Up Here” after clicking on the “Click to Order” button to the left. Once you’ve registered, send us an email at eyecare@theamazingeyes.com letting us know you would like to order contacts. Then we will fill in your most recent contact prescription and parameters and we’ll send you an email wth a link to complete your order (i.e. entering credit card information, shipping address, etc.). Its that easy! Please note that the link is time sensitive and only good for 24 hours. However, if the link expires before you get to it, we can send you another link upon request. No problem. 2. My friend told me about your webstore. Can I order contact lenses even if I’m not a patient of your office? Yes. Sign in to your account by clicking the “Click to Order” button in the upper-left and then complete your order form including your prescription and your doctor’s name and phone number. We will validate your prescription and complete your order. 3. Where do I pick up my contacts? All contacts are shipped directly to you. 4. How long will it take to get my contacts? Free, standard shipping takes about 5 to 7 business days. However, you can choose other shipping options to expedite your order. All orders can be tracked via a UPS track number. 5. Can I get an itemized receipt to submit for insurance or flex spending? Yes. When you place an order, you will get an email with an itemized invoice/receipt. 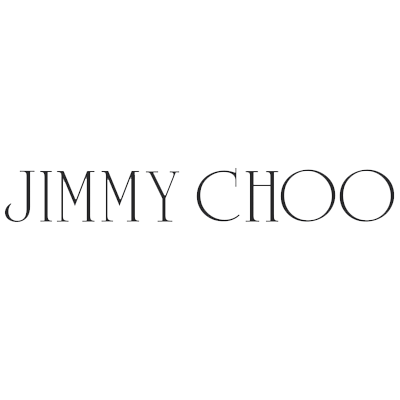 We carry a wide range of designer brands and non-designer brands that will fit any budget. 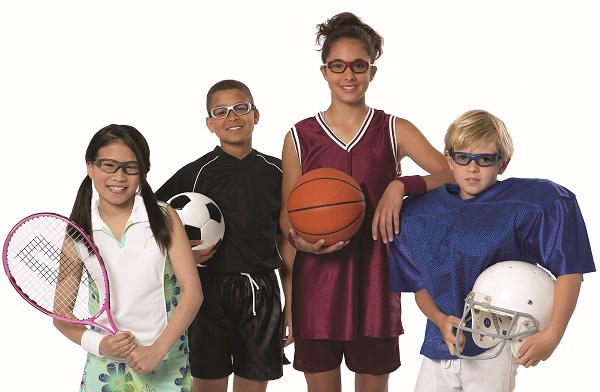 Not only do we carry the best prescription safety glasses for kids involved in sports but also we specialize in prescription occupational safety eyewear products for individuals and corporate clients. Today, more than ever, employers are realizing the important part that an active safety eyewear program plays in the health of their employees and in the success of their company. We supply the best occupational eyewear products to keep you and your employees safe. We can help you develop an eye safety program for your office and we carry a wide selection of safety glasses for a large variety of occupations. We sell laser Safety Glasses and Goggles for use in Medical, Military, Research and Education, Industrial laser applications, as well as for law enforcement and aviation. Our laser safety glasses, goggles, and eyewear can protect the eyes from the hazardous reflected or scattered high-powered laser light (radiation): Class 3R, Class 3B and Class 4 laser systems. When buying Laser safety glasses and goggles be sure to select the laser glasses to block or attenuate the appropriate wavelength range and OD (Optical Density). The operating parameters of your laser, or a Certified Laser Safety Officer (LSO), will determine what laser safety glasses you should use. If you do not have a CLSO on staff or information in your laser manual, please contact us and our laser safety experts can help you. We offer consultation and OD calculation for laser systems and can visit your facility as needed. In addition to the non-prescription laser safety glasses, we also sell prescription lenses in several laser safety filters. If you are not interested in using a fitover to accommodate your prescription glasses while working with your laser then prescription lenses are for you. Your eyes are one of the more sensitive areas of our body, they are incredibly vulnerable to radiation. With our full line of radiation safety eyewear, you can protect your eyes from radiation damage by using only high-quality lead glasses for each and every x-ray procedure. Our premium radiation glasses are perfect for hospital, dental practice, or x-ray lab use. We use the very best radiation glasses you can find. All of our leaded eyewear is made from superior quality Schott German optical lenses with a lead equivalency of 0.75mm. Our Glassworking Eyewear features prescription and non-prescription safety eyewear for every type of hot glassworking applications, and associated arts. All of our glass lenses for glassworking are optical-quality German glass, and our plastic lenses are optical-quality and scientifically engineered for best in class. Lenses include those for IR, UV, and sodium flare protection, in various shades and combinations of these coverage’s. We also offer flat lenses for goggles, helmets, and masks in standard sizes and shades, as well as standard welding shades with added protection from sodium flare for working with cast iron, aluminum, and stainless steel. Standard and custom sizes and shapes are available upon request. Keep your eyes safe while working! Suffice it to say we have one of the largest selections of protective eyewear in the area which is especially important with so much local construction in the Washington DC metro area. Our frames and lenses are specifically designed to protect against impact and are tested to meet or exceed the strictest ASTM F803 standards. They’re also engineered to handle any prescription. So you get comfortable, durable protection without sacrificing sight or style. After an evaluation, we will create a custom treatment plan for each patient, often using low vision products. These custom low vision aids are designed to compensate for the problems traditional glasses and contacts cannot address, providing improved vision to patients who are struggling and often deemed legally blind. Prismatic eyeglasses are low vision eyeglasses that use a prism to encourage the two eyes to work together properly. This works well when the patient does not require high magnification. Imagine placing binoculars into eyeglasses, and you have a good picture of what telescopic eyeglasses can do. These specialty optics help improve low vision by combining custom designed optics with your eyeglass prescription. The location of the telescopic lens is chosen based on the type of vision problem the you have. 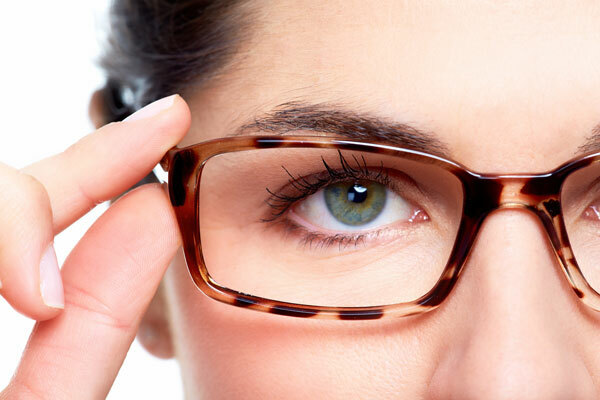 Microscopic eyeglasses are low vision glasses that combine your eyeglass prescription with custom magnification. The glasses contain two lenses piggybacked together to reduce the blur caused by high powered lenses. Microscopic eyeglasses are sometimes designed in a monocular format, because the patient can only use them when looking at something with a close working distance. Patients with Macular degeneration can benefit form E-Scoop glasses, which improve vision by shifting the image an individual is looking at to a different location of the macula. E-Scoop lenses are an option when traditional glasses do not work, but the patient does not want to use a head borne telescope. The system has five optical characteristics to help refract and shift the light and improve vision. We are always introducing new and innovative products. Check back with us regularly to learn about the newest products on the market !